This Chocolate Pecan Pie has the perfect blend of pecans & chocolate pieces, an incredibly delicious sticky filling and a wonderfully crisp crust. 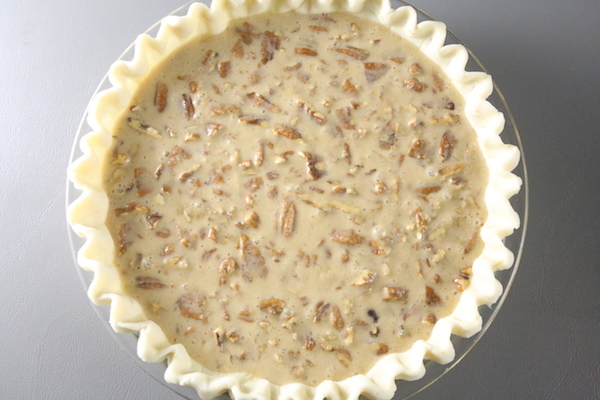 This recipe creates one of the easiest and tastiest pecan pies! I discovered this recipe by Chef John of food wishes a while back. 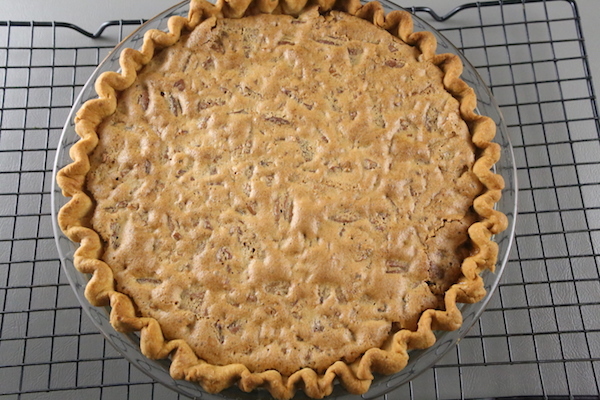 It has been a pecan pie recipe that I have made multiple times and keep coming back to, because it really is delicious and quite simple to make. I don’t believe I ever ate this warm but I can certainly say this is VERY good cold. The top layer of this pie reminds me of a crisp brownie crust and the creamy filling kind of resembles a semi-sticky caramel-like texture. 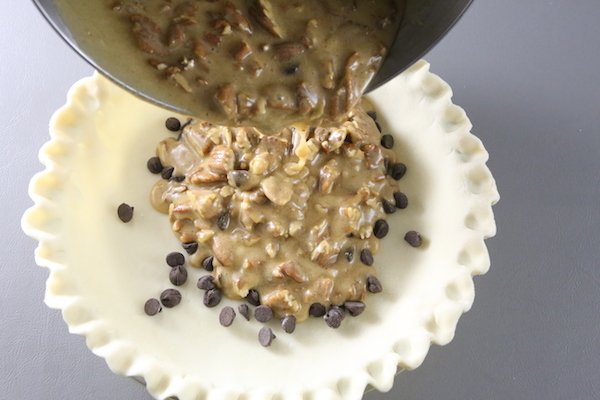 This is one pie of yumminess and a definite must make if you like chocolate and nuts! 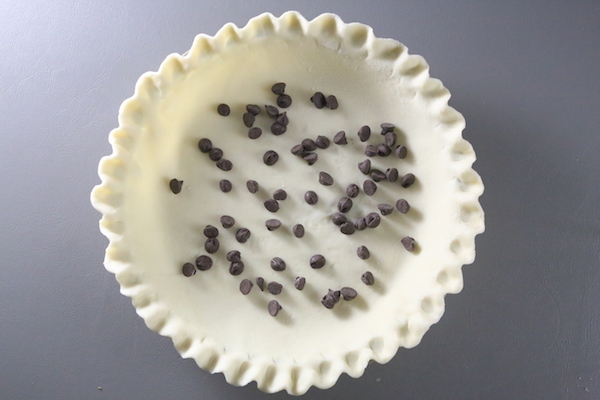 PREP: Preheat oven to 400 degrees F. Unroll a 9-inch pie crust into a pie pan, crimping the edges. Sprinkle 2 tbsp of semi-sweet chocolate chips and set aside. 2. Stir in the milk and vanilla. 3. 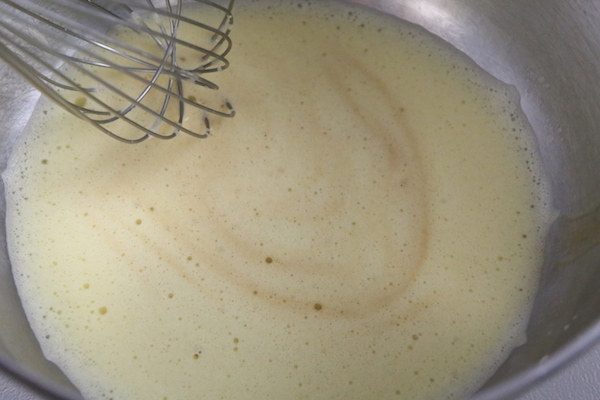 Then whisk in the sugars and flour. 4. 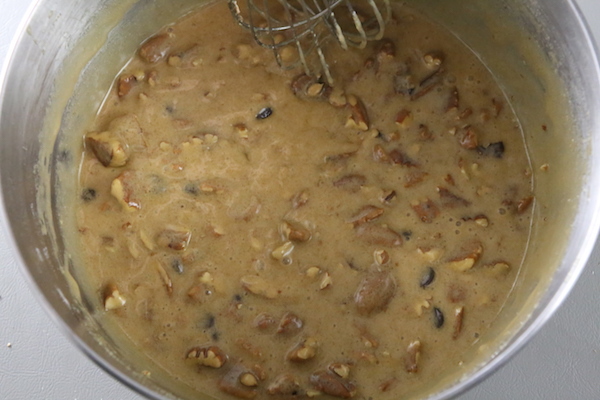 Pour in the melted butter and add in the pecans and chocolate chips; whisk throughly. 5. 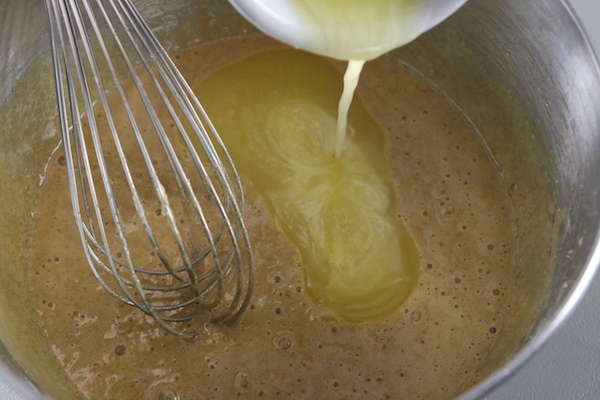 Pour batter into the pie crust and bake at 400 degrees F for 10 minutes, then reduce temperature to 350 degrees F and continue to bake for 30 minutes. 6. Cool pie then refrigerate over night. PREP: Preheat oven to 400 degrees F. Unroll a 9-inch pie crust into a pie pan, crimping the edges. Sprinkle 2 tbsp of semi-sweet chocolate chips over the crust and set aside. 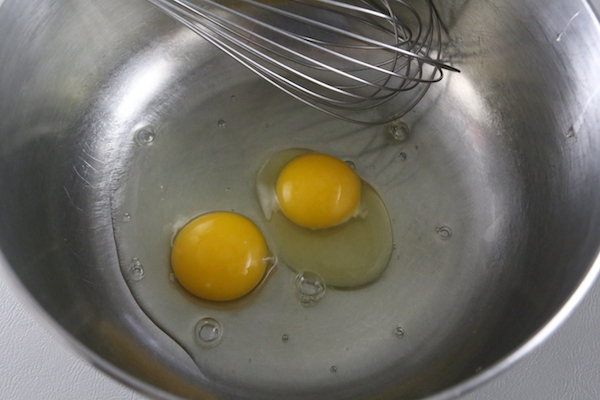 Whisk together the eggs until pale and frothy (2min.) Stir in the milk and vanilla. 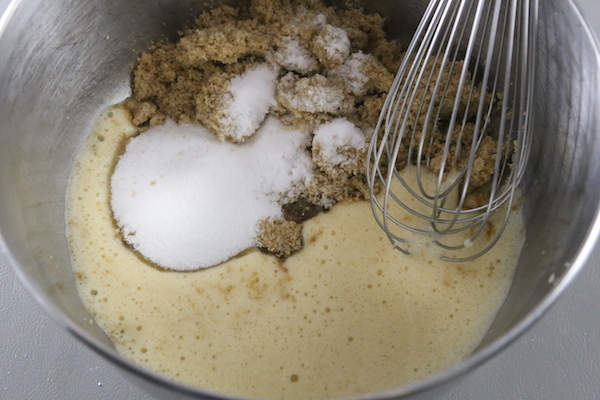 Then whisk in the sugars and flour. 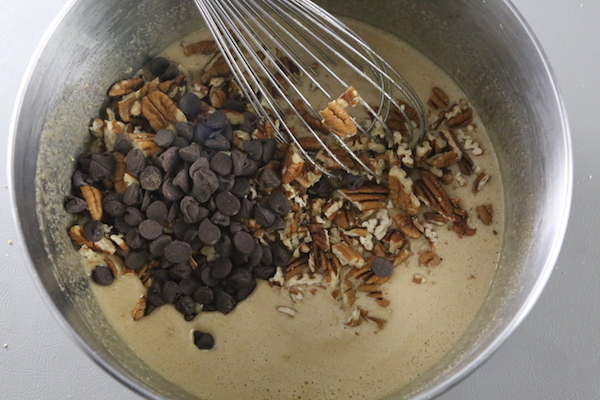 Pour in the melted butter and add in the pecans and chocolate chips; whisk throughly. 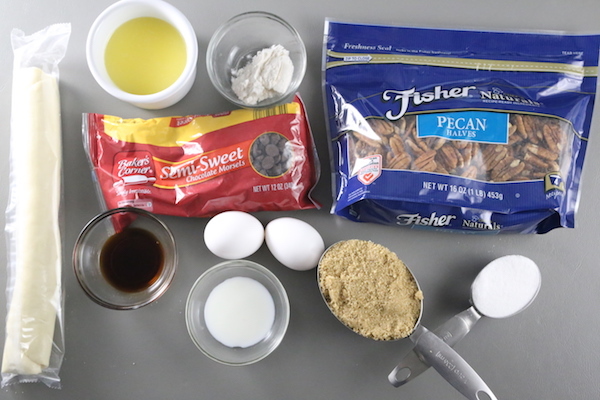 Pour batter into the pie crust and bake at 400 degrees F for 10 minutes, then reduce temperature to 350 degrees F and continue to bake for 30 minutes. Cool pie then refrigerate over night. I can’t wait to make this recipe. What brand of pie crust did you use?